It's the last Friday of September. Wow, did this month go fast! It's also time for another challenge at QKR Stampede. This week, our optional theme is Cut It Up (cutting, punches or dies). This cute mouse is called Flower digital stamp (Q-digi7004), and is from QKR Stampede. I colored it with Copic markers, then used a variety of circle dies to create the card. 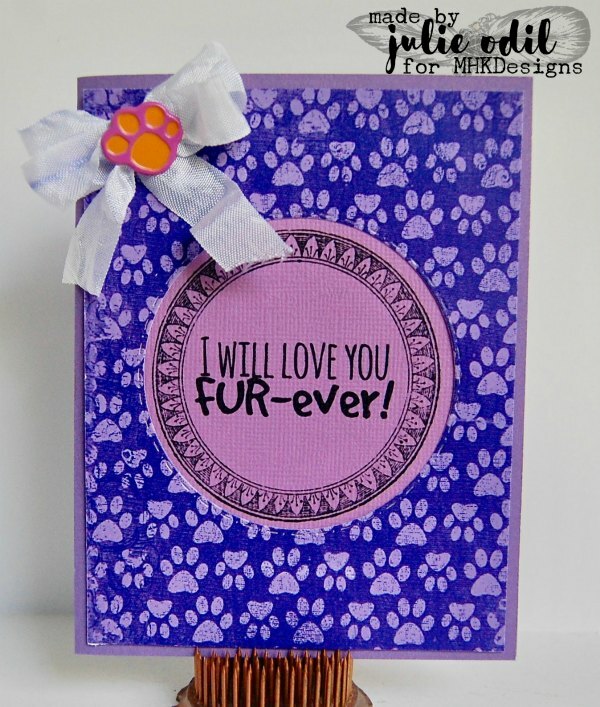 The sentiment, printed on a tag, is from Eureka Stamps, and is Just For You (ES-digi9003). I hope you can join us this week at QKR Stampede. You can enter an Anything Goes project, or join our optional 'Cut it Up' theme. I'd love to see what you make! 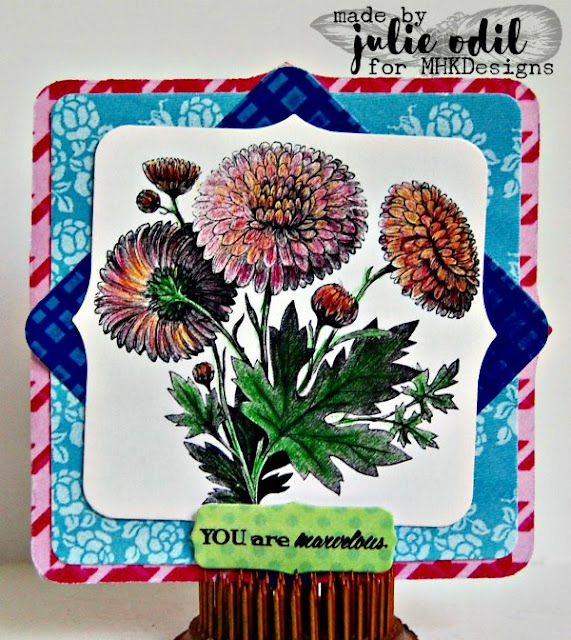 I'm posting today for Bloom Art Stamps. 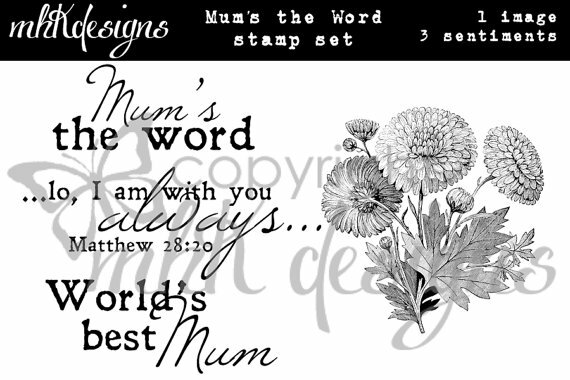 I have two cards to share -- one made with a clear stamp set, one made with a digital stamp. I inked up parts of the Seasons: Tree with Fruit stamp with different colors of ink, trying for a fall-like look to the tree. Then, I inked up a squirrel and a bird from the set, fussy cut those, and added them to the tree. I used a snowdrift die to make the grassy "hill". Card #2 uses the digital stamp, Coneflower Arrangement. I printed Coneflower Arrangement on Kraft paper, then colored it with Faber-Castell colored pencils. I love using colored pencils on Kraft paper. It's one of my favorite ways to use colored pencils! 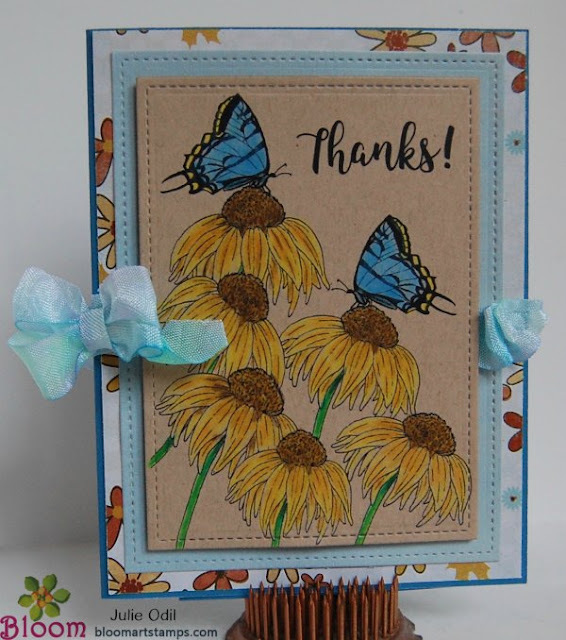 I used a couple dies from Lawn Fawn to cut out and back the Coneflower Arrangement digital stamp. The designer paper in the background is from Snap Click Supply and is also digital. The crinkle ribbon is from 3 Girl JAM. 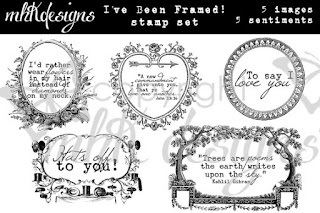 Bloom Art Stamps has some amazing stamps -- both clear and digital. Please check out the store, then the blog for inspiration. 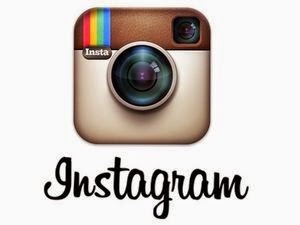 You'll also find us on Splitcoast Stampers. It's New Release time at Imagine That! 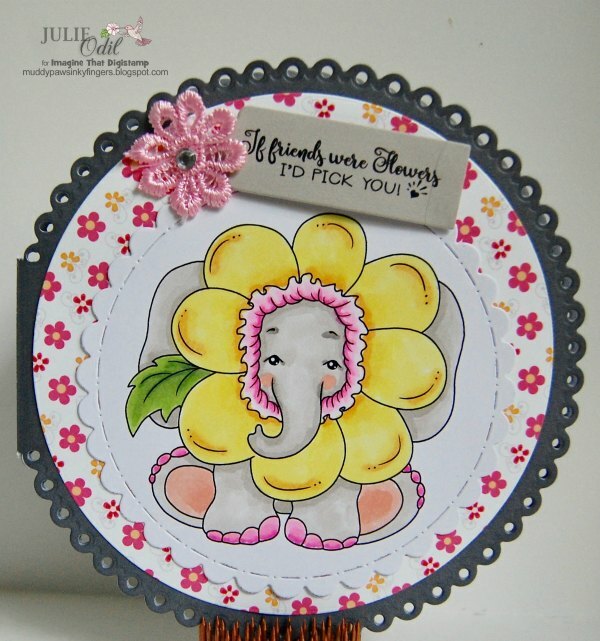 Digistamp, and if you like elephants, you are gonna LOVE this new release! It is a-m-a-z-ing! Check out the Imagine That! Digistamp blog throughout the day today and tomorrow to see all the Ellie releases. I colored Ellie with Copic markers, then used a variety of circle dies to create the card. The designer paper, also from Imagine That! 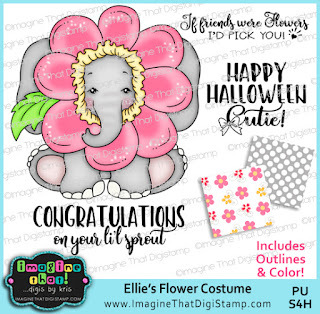 Digistamp, comes with the Ellie's flower Costume set. 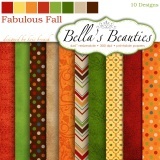 Each of the Ellie's releases has digital papers with it to add to the fun! Don't forget to check out what the other creative design team members have made for this new release. The ideas are awesome! My favorite day of the week is here again! Fridaaaaaay! Today, I am traveling 3 hours, returning from a conference. It will be good t get back home, back to my hubby and puppy, and back to a routine. Today is also the start of a new challenge at QKR Stampede challenge blog. This week's theme is 'Embossing'. 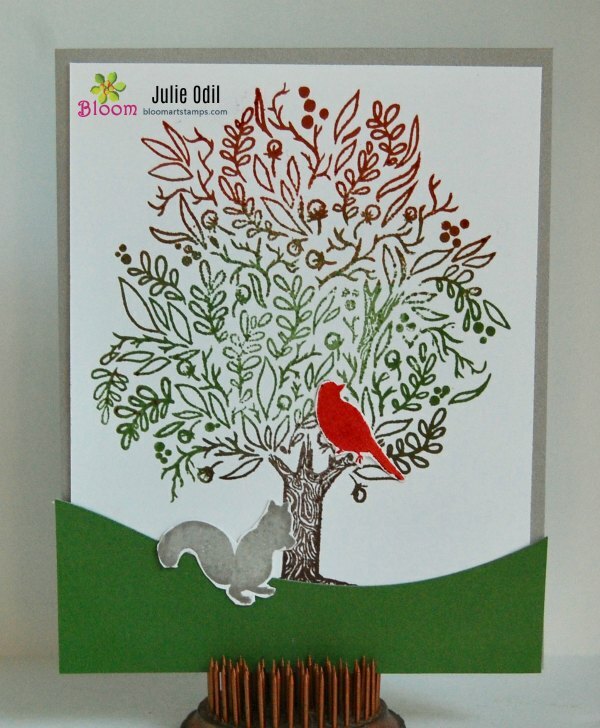 We want to see any kind of embossing -- either wet or dry. 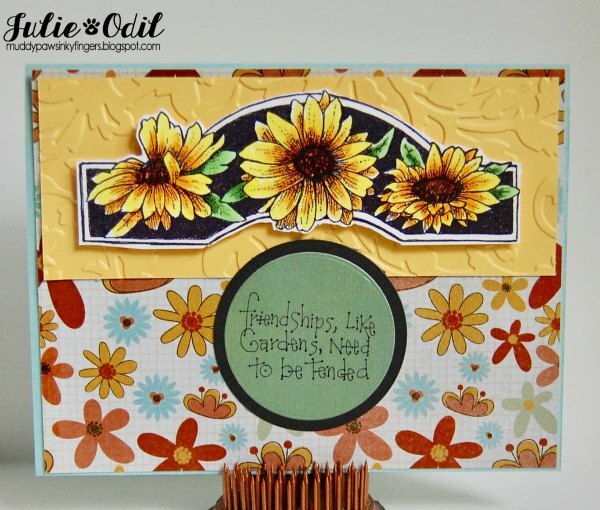 This card uses QKR Stampede digi stamps, Flower Border & Friendships and Gardens sentiment digi. I colored the Flower Border digi with Copic markers, then fussy cut it, mounting it on the embossed panel I ran through an embossing folder by Close To My Heart. The papers on this card are digital, and were found at Snap Click Supply. 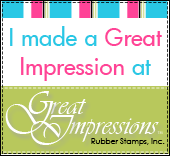 I hope you can join us this week at QKR Stampede for our optional themed, "Embossing of Any Kind" challenge. Or, you can always enter an Anything Goes project. We have great digis you can win (like these 2!) and I'd love to see what you make! It's the weekend! It's also time for some mid-month inspiration at Imagine That! Digistamp's Creative Playground. I cannot believe we're more than 1/2 way through this month already! Challenges at the Creative Playground are always Anything Goes. If you use an Imagine That! 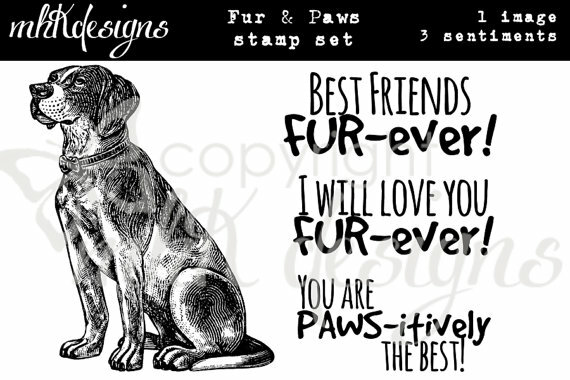 Digistamp image, you get the set of the month for free, and this month's manatee stamp is sooooo cute! 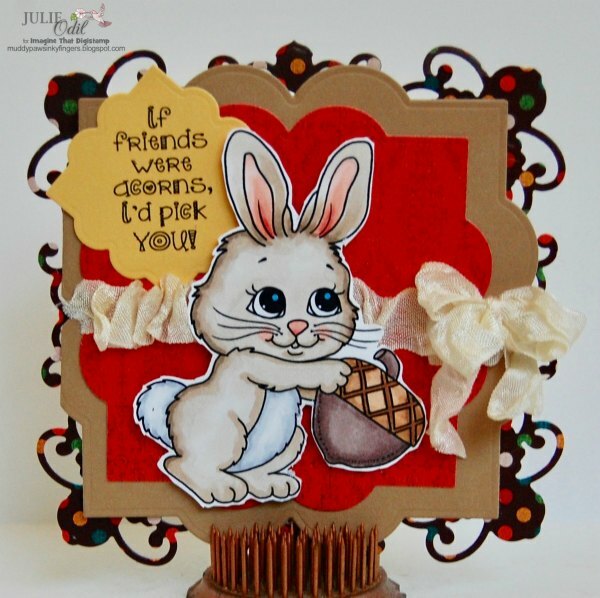 This card uses Acorn Bunny by Imagine That Digistamp, colored with Copic markers, then fussy cut. 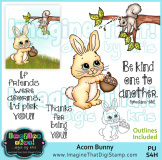 The sentiment is also from the Acorn Bunny set. 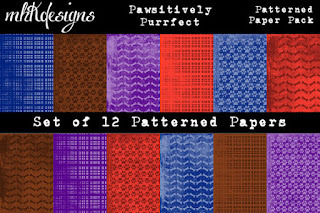 The digi papers are the Fabulous Fall papers by Imagine That! 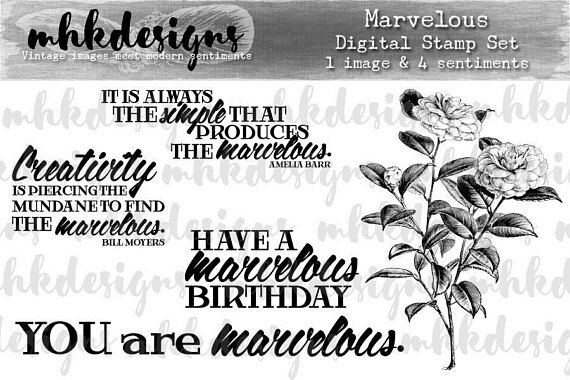 Digistamp. I hope you find time to join us this month for the Anything Goes challenge and your chance to win the Manatee set if you use an Imagine That! 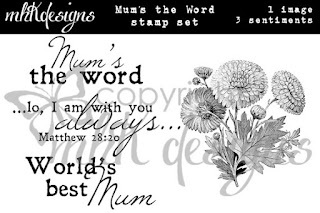 Digistamp image. The challenge runs until Oct 6. Haaaappppppy Friday, everyone! I hope you have enjoyable things planned for the weekend. We're nearing the ending of Harley riding season here, and every weekend counts, but there's rain in the forecast, so it might be a crafting weekend instead and that's OK! This week at QKR Stampede, it's an Anything Goes challenge. Yeah! I love those! I've been wanting to color this image up for a long time, and I finally got the chance! 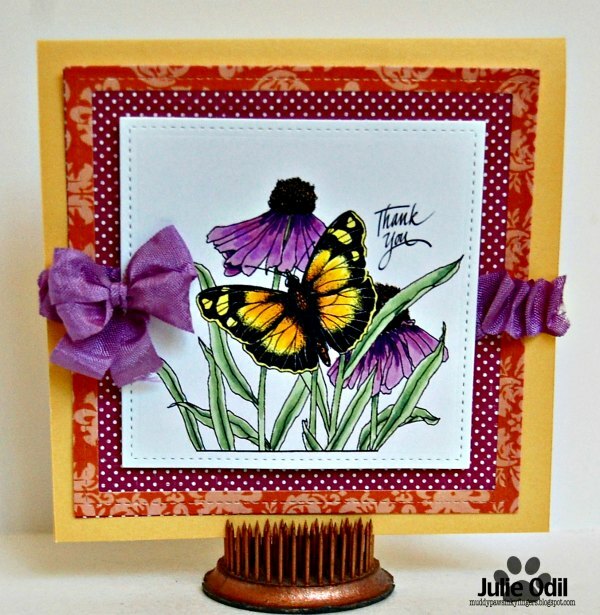 This is from the sister company of QKR Stampede, Eureka Stamps. It's Butterfly & Sunflower, colored with Copic markers. The sentiment, also from Eureka Stamps, is large Thank You. Both are available in digital or rubber, but digital were used here. 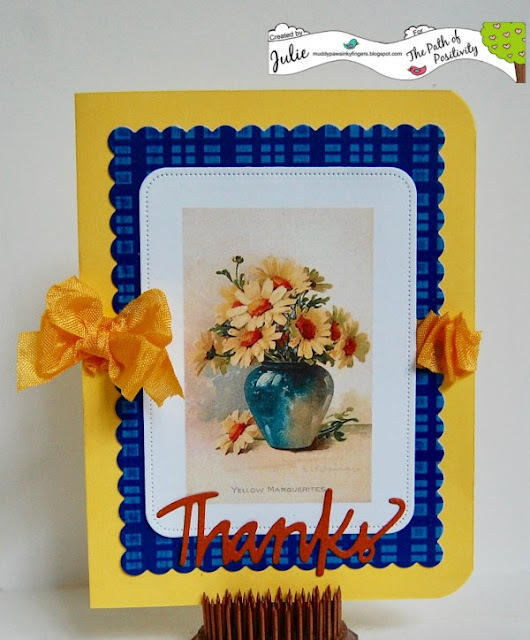 Designer papers on this card are also digital and are from Snap Click Supply. The card base is card stock from Close To My Heart. The ribbon is from 3 Girl JAM. 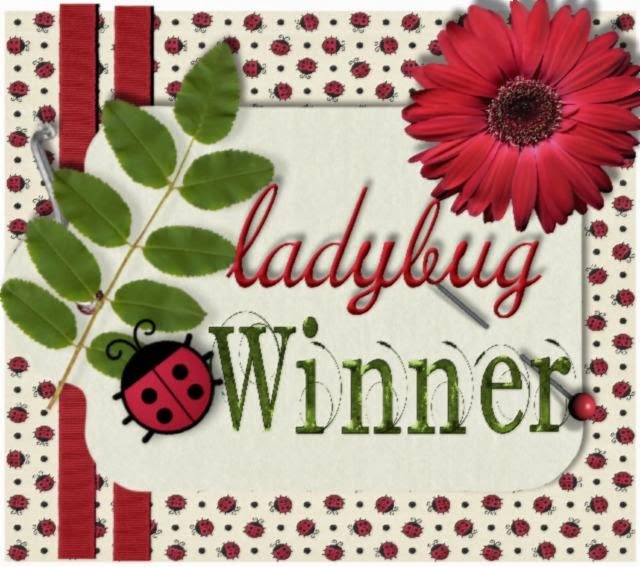 I hope you can join us this week for our easy peasy Anything Goes challenge at QKR Stampede. We've got great prizes, and I'd love to see what you make! 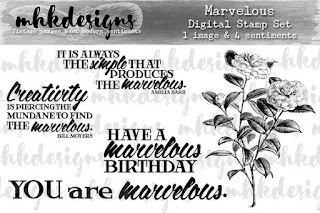 I used 2 MHKDesigns digital stamp sets to make this simple card, and one MHKDesigns digital paper. I started with the I've Been Framed digital stamp set, then nestled a sentiment from the Fur & Paws Digital Stamp Set inside the frame. 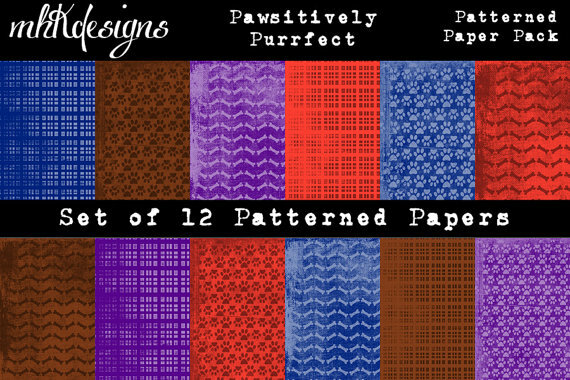 The paw print designer paper is from the Pawsitively Purrfect Digital Paper Pack. 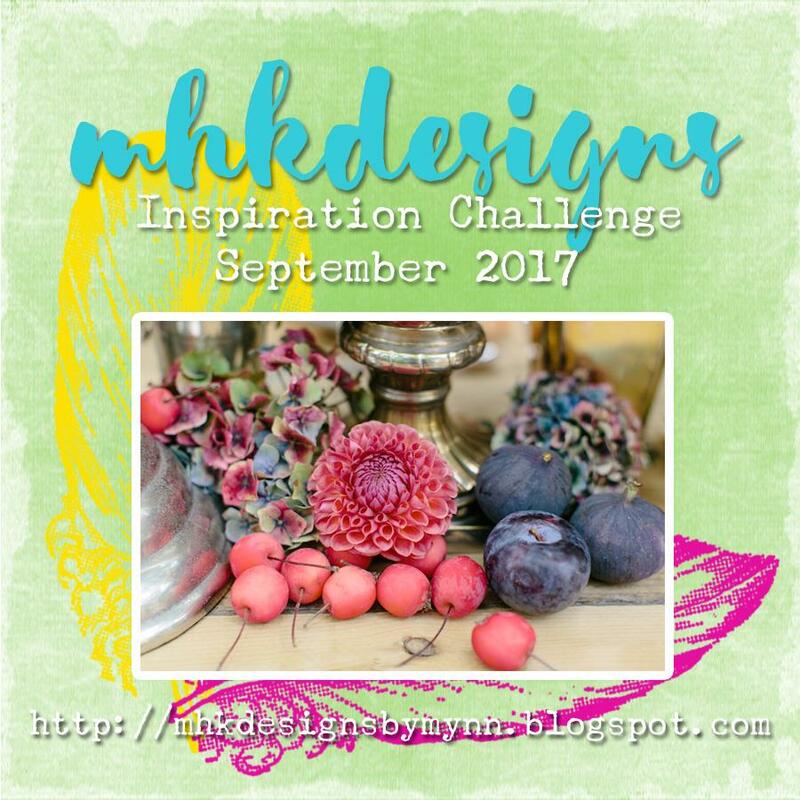 Have you joined the MHKDesigns challenge yet this month? It's anything goes as long as you use an MHKDesigns image. You still have plenty of time! It's Friday again! I do like this day of the week! It also means that it's time for a new challenge at QKR Stampede Challenge Blog. This week, the optional theme is "Fall Colors", or you can enter an Anything Goes project. Fall! I love the earth tone colors that come with Fall, and I love the changing leaves. A few trees have begun to turn around here in NW Wisconsin. Tomorrow is the harvest fest in the small town where I live. There'll be lots of celebrating going on. The crows in this card are doing some celebrating. They are not at all afraid of Mr. Scarecrow! 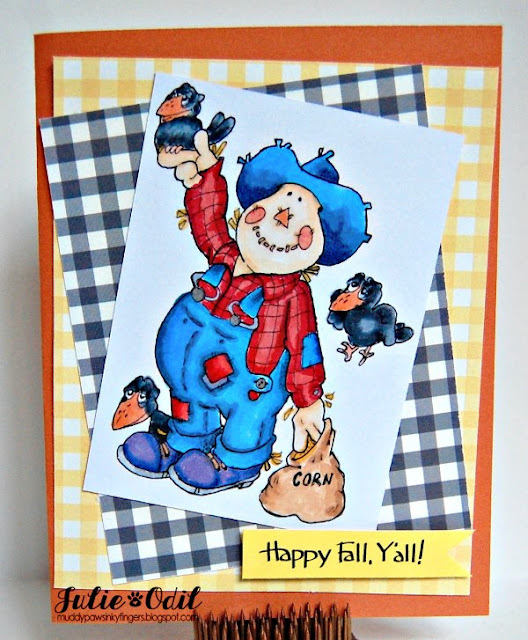 I used the QKR Stampede digi, Scarecrow and Friends (Q-digi24243) on this card, and sentiment ES-digi16102, Happy Fall, Y'all. Scarecrow and Friends is colored with Copic markers. The gingham papers are digital. They are from Paper Whimsies. Fall! It's also a great time to start more crafting, as the weather turns cooler. I hope you can join us this week at QKR Stampede for our optional Fall Colors challenge. We've got great prizes, and I'd love to see what you make! Hello, crafty friends, and happy Labor Day to my American readers. 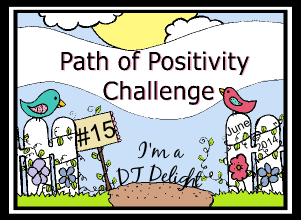 Today is the start of a new challenge at Path of Positivity Challenge Blog. 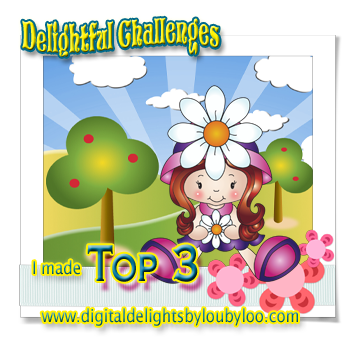 We have a 3-month challenge theme, exploring the concepts of art, literature, and music. For September, the theme will be art. To be eligible for the prizes, tell us how your project ties in with art -- how are you affected by art, artistic masters, art in your home, sculptures, whatever! Studying the masters is a great way to learn about light source. It can help in my own coloring and shading. I love how this vase is shaded and how the artists used shadows behind the daisies. We can learn so much from other artists and learn from them in our own artistic journeys. I hope you can join this month at Path of Positivity for our "Surround Yourself with Art" challenge. It runs until October 1. You can also link up any positive themed project if you don't want to use the alternate theme. September 1st?!? Where do these months go? 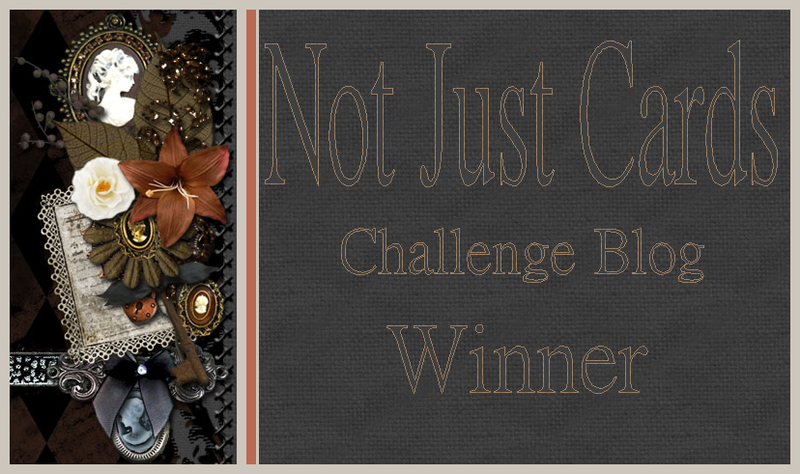 That means we're starting a new challenge over on the MHKDesigns blog. As always, the challenges are Anything Goes if you used an MHKDesign image. 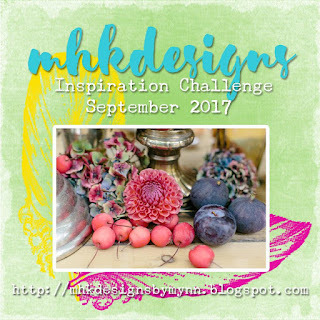 There is also an Inspiration Board for you if you choose NOT to use an MHKDesigns image. It will be pictured below. I'd love to have you link up, and I'd love to see what you make! 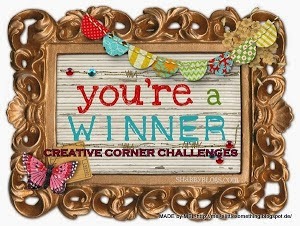 It's Friday, and time for a new challenge at QKR Stampede Challenge Blog. This week, the optional theme is "Wild West". Instead of going with a cowboy theme, I went rather prickly on this. This uses Cactus (ES-digi6101). 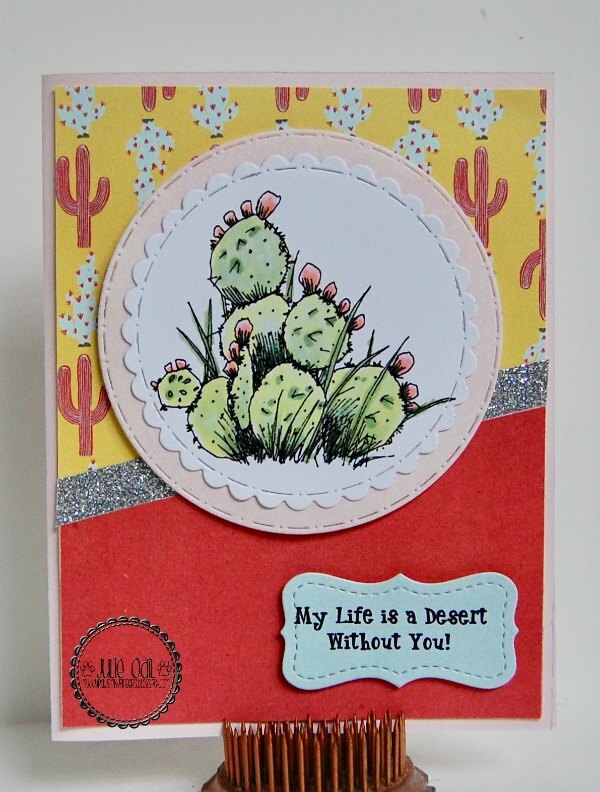 I colored the Cactus image with Copic markers, then used a couple circle dies from Craftin' Desert Divas to cut out and back the Cactus image. The sentiment is computer generated. The cactus paper, and other colored papers are from Pixel Scrapper. The glimmer trim is from Close To My Heart. I hope you join us this week at QKR Stampede for our optional Wild West challenge. 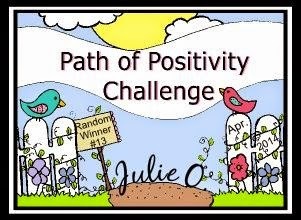 I'd love to see your take on the challenge, and we've got great prizes!